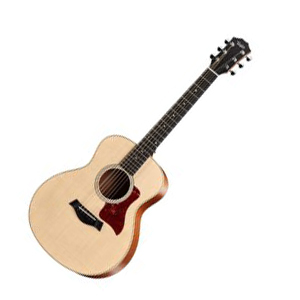 As you can tell from the name, the Taylor GS Mini Guitar is a scaled-down version of the GS making it an incredibly lightweight, versatile, and a powerful guitar that can be played anywhere due to its portable nature. 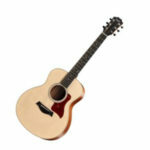 It’s one of the most popular Taylor acoustic guitars. 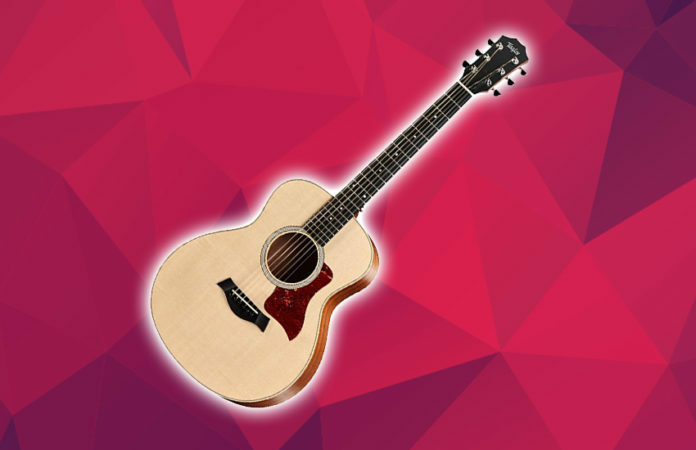 Now the Taylor GS Mini guitar is known for its exceptional quality to sound and it’s extremely compact size with its Taylor Grand Symphony Mini body making it easy to play and travel with. However, at the cost of its size is the ability to produce a rich bass and also slightly difficult for people with larger hands. Now the GS Mini also comes with a tortoise pickguard, a die-cast chrome tuner (for those who like the classic look), a Nubone nut, a Micarta saddle, and finally the strings made of Elixer Phosphor Bronze Medium. When I played this guitar, the sound quality was superb and was blown away by how great it was despite its low price point for a Taylor. It created a balanced tone and was pretty loud despite its size. It also felt really comfortable in my hands when I played it. The action was nice and low and the neck felt really nice sliding up and down the fret. I only played it fingerpicking so I can’t really tell you how it was with a pick but I’m guessing it wouldn’t make a difference. The only problem I had with it was the tuners and felt a little off when I went to adjust the sound. Overall, it was really fun, easy to play, consistent and really comfortable when I strummed the guitar. I’d say that this is an entry-level great guitar aimed at the person who travels a lot and wants something incredibly lightweight yet can produce the sound of a full-sized guitar. It’s not too expensive, not too valuable, and not too big making it a favorite for many guitar enthusiasts who want to casually play the guitar for family events, with friends at a campfire, or a gig at a small venue.